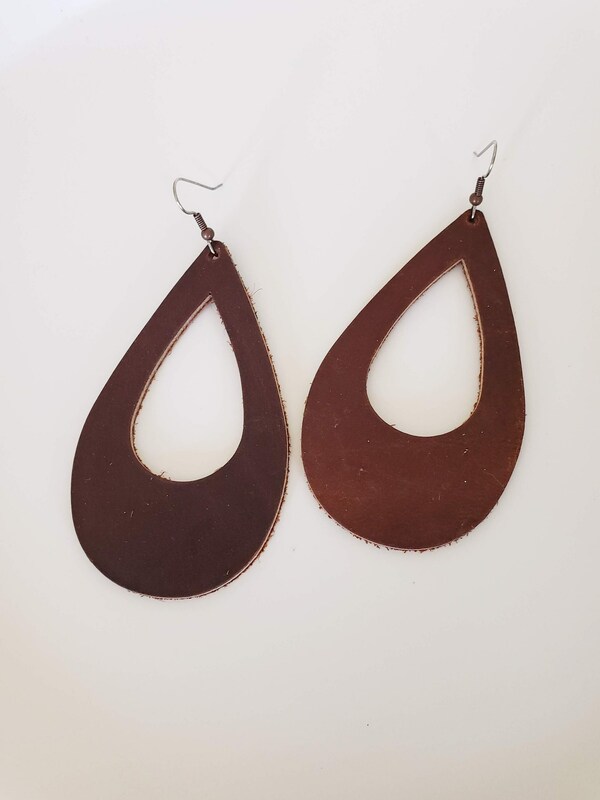 These chocolate brown colored, lightweight leather teardrop earrings will leave you looking perfectly polished. 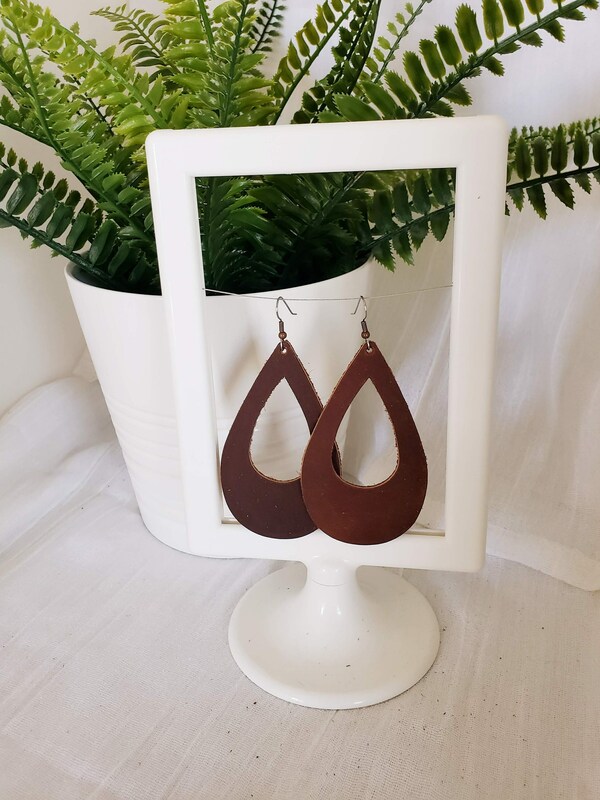 Made from firm, stiff oil-tanned leather, these earrings wear like a wood cutout, with all the comfort of a leather earring! 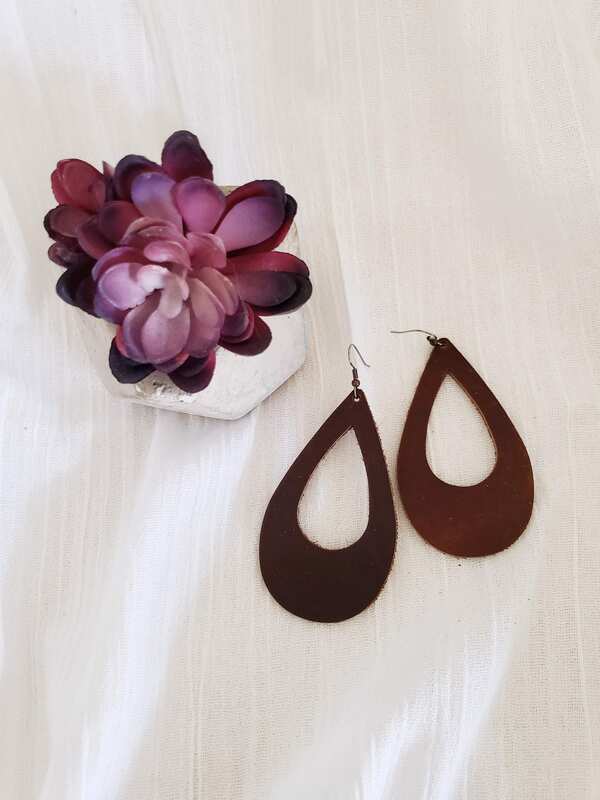 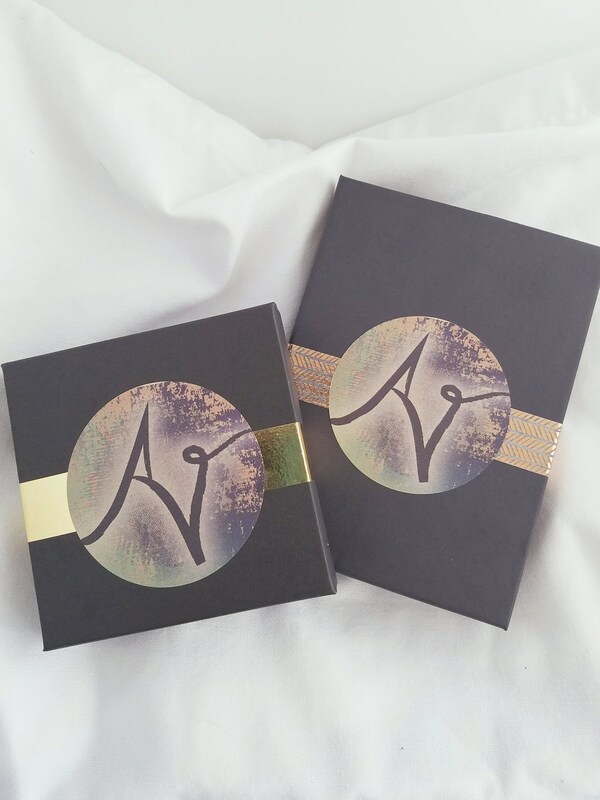 With a classic teardrop shape and rich neutral color, these earrings can easily be dressed up or down. 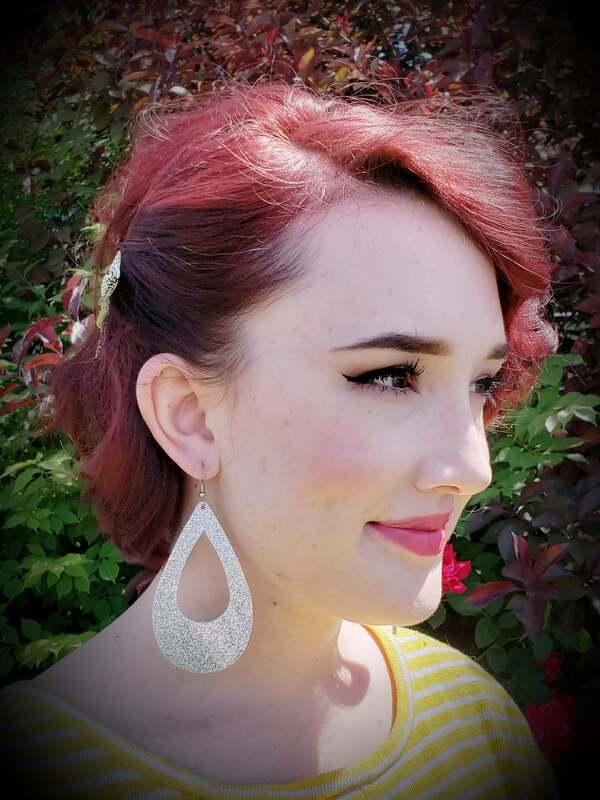 Perfect to wear with jeans and a T-shirt or your favorite LBD. 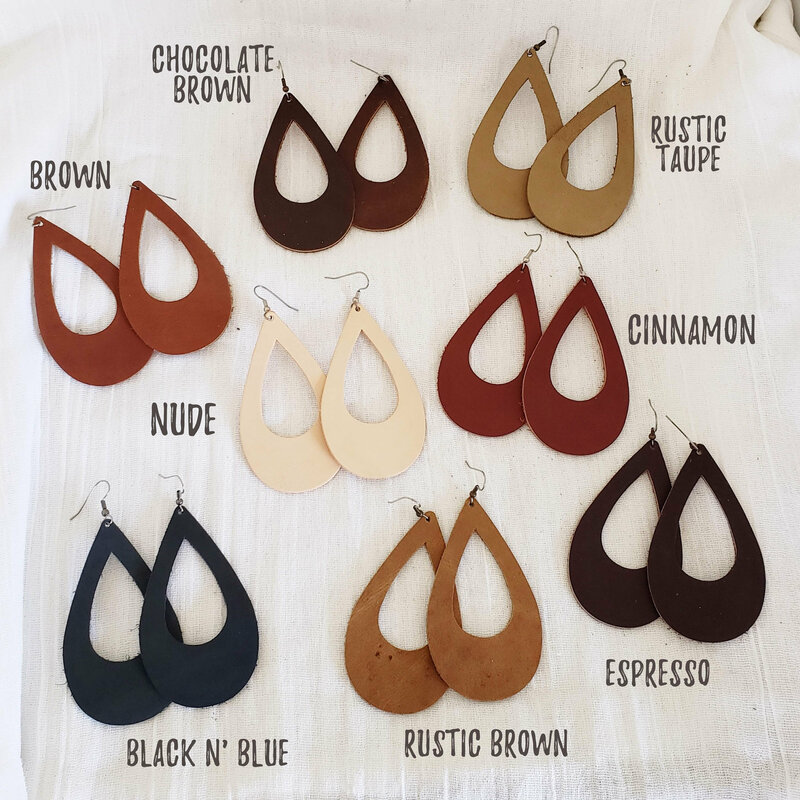 Stiff, rich chocolate brown colored oil-tanned genuine leather with an ultra-smooth, matte texture.